Law Office of Terry McNiff - Testimonials - Full Text - "Picture Your Divorce"
Testimonials - Full Text - "Picture Your Divorce"
of the 2013 Global Ebook Awards!" Bronze: Picture Your Divorce Decisions A to Z So You Can See, Terry McNiff"
"After having completed a first thorough reading of 'Picture Your Divorce', I would like to thank you for having offered in it such a wise, humane, and hopeful blueprint for conducting ALL relationships, including those which pass through divorce. So often, these relationships are made less than they might otherwise be because they are the inevitable hostages of our own poor relations with ourselves, our values, our own histories and hopes for the future - in short, with our own humanity. And pretty soon, we fail to stop and imagine the (poor) consequences of all our lesser impulses, until, in doing so, we see the damage we have unwittingly done to something we truly love. Thank you for the reminder." “Dear Terry: Congratulations! 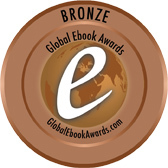 The epic results are in for the USA "Best Books 2011®" Awards! Picture Your Divorce: See How You Can Make the Right Divorce Decisions by Terry McNiff. “Congratulations! We wanted to take a moment and again personally congratulate you on your achievement! Award in the category of Divorce. The Indie Excellence Awards are reserved for the "best of the best" in books published in various genres. The criteria for recognition are stringent and include overall excellence in presentation. “Picture Your Divorce -- the Book is a must read for anyone thinking about or going through a divorce. If that's you, you should read Picture Your Divorce as soon as possible. Picture Your Divorce will save you time & money -- & possibly your sanity -- with easy-to-understand divorce decision diagrams. Information you need that most attorneys won't give you." -----Karen A. Rhyne, Esq., attorney since 1985, Certified Family Law Specialist since 1991; Adjunct Professor of Family Law, University of California Irvine Ext. Div., 1992 to 2005. "In "Picture Your Divorce To See The Right Decisions", author Terry McNiff draws upon his many years of experience and expertise working with couples who divorce to deal with the emotional and financial stresses involved to create a 148 page compendium replete with charts and diagrams on how divorcing men and women can avoid angry conflicts while separating from their former relationship. Strongly recommended for anyone contemplating or already involved in a divorce action...﻿"